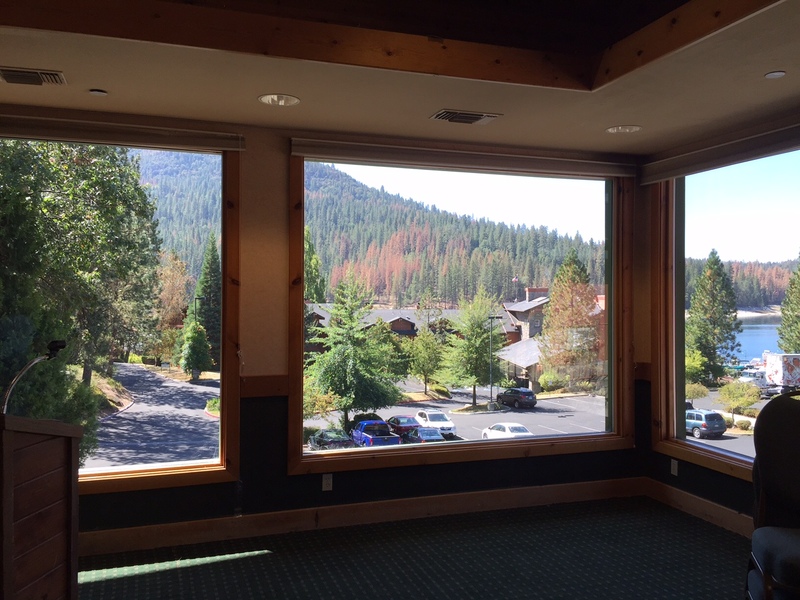 Only One Week Away – Sierra Art Trails 2016! 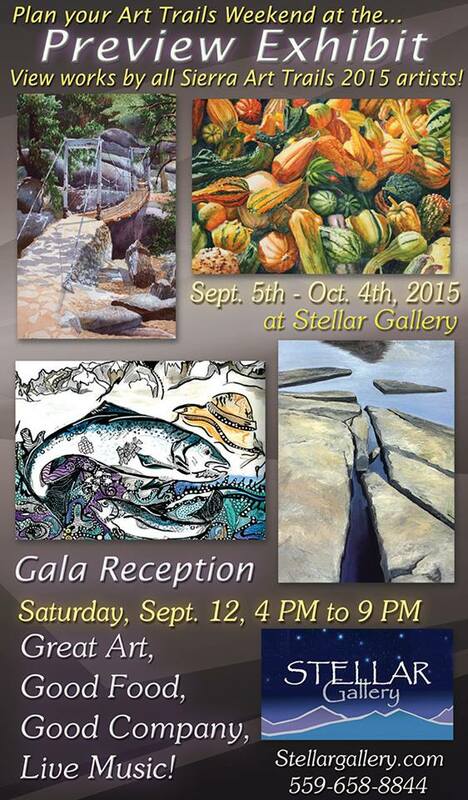 I will be exhibiting with two very unique and talented artists, Kathy Marks (#29) and Karen Tillison (#31). 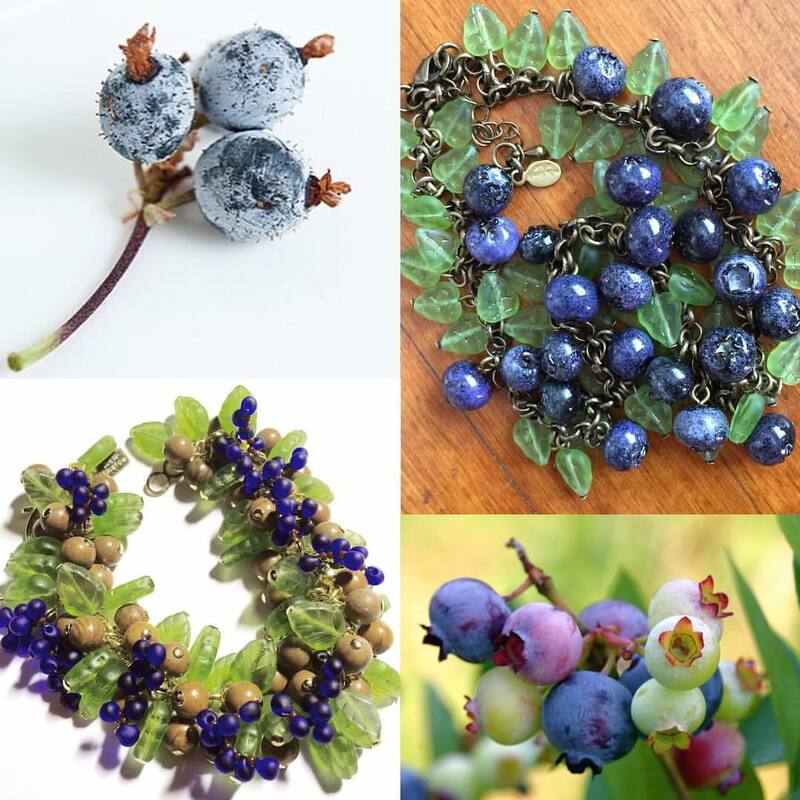 Kathy Marks is a creative and uniquely gifted sculptor who works in mixed media using found and repurposed objects to create amazing pieces, each with so much interesting detail you have to spend some time on each piece to appreciate all of the intricacies of her designs. 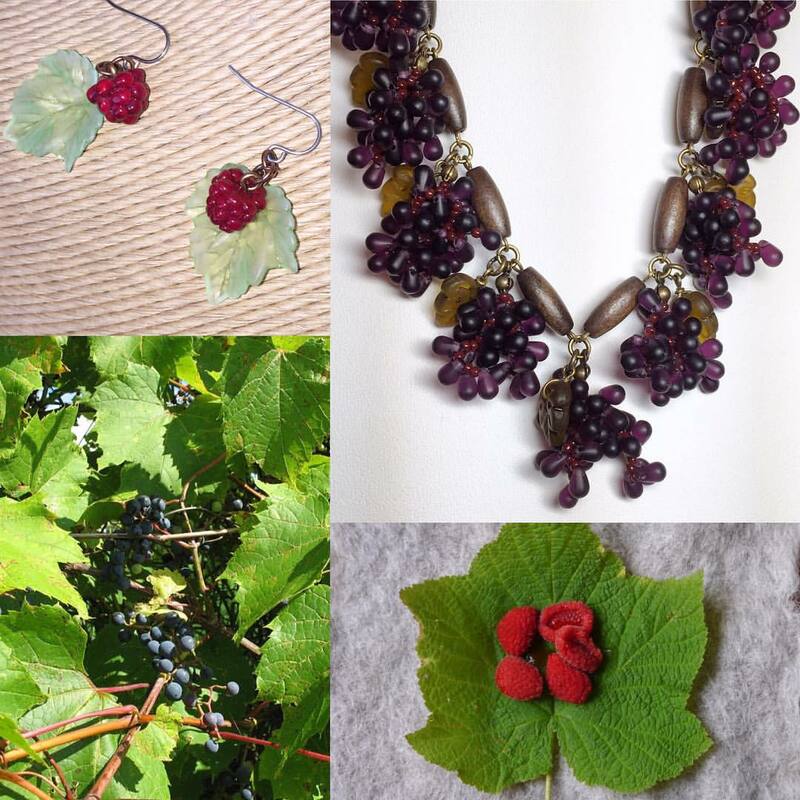 From her website: “I combine found and re-purposed objects into subtle, delicate and inspiring compositions. 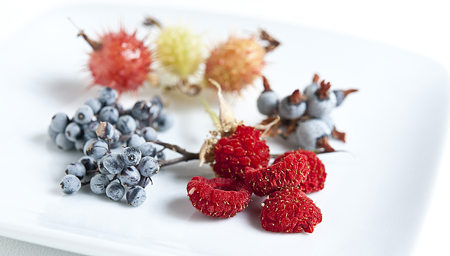 Texture, color and contrast captivate me. The overlooked fragments I gather together tell a story. 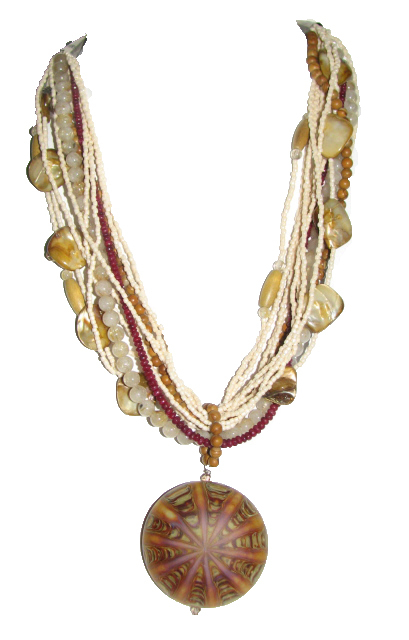 My work conveys a reflective calmness, often laced with gentle humor, and has been described as “Zen” in nature. Wow, what amazing adventures she’s had! 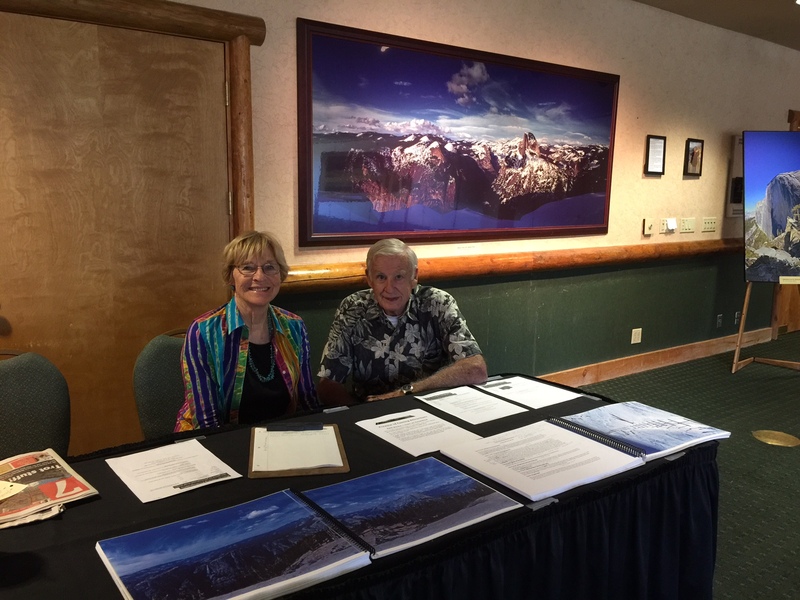 I met so many wonderful artists at this year’s Sierra Art Trails 2016 Gala Reception that I didn’t have time to mention all of them in my last post. Franka Gabler (seen far left, red dress, artist #19), Julia Bristow (#30), and Monique Wales (#42). 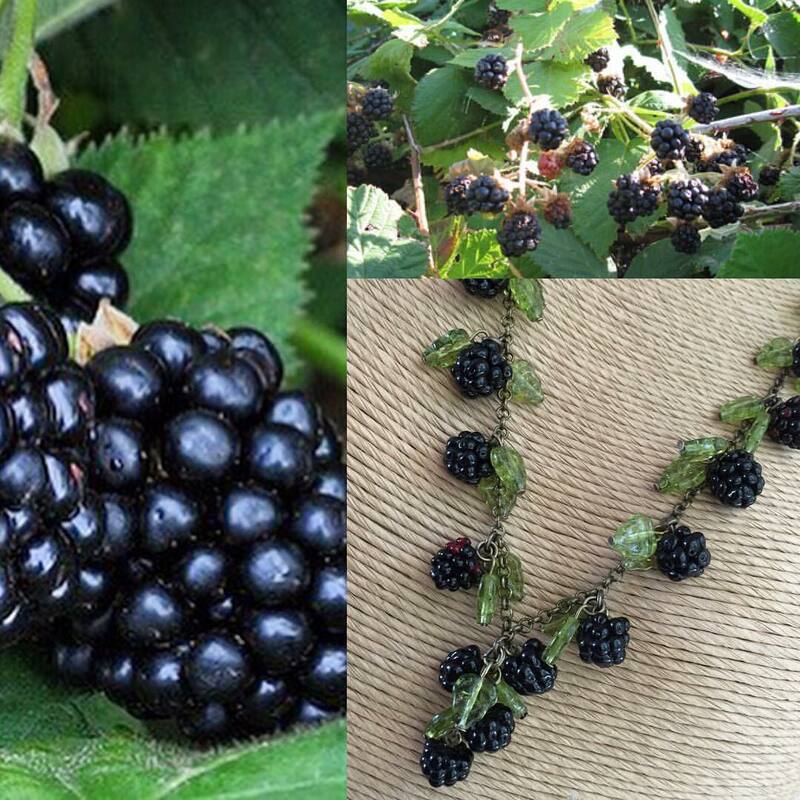 This photo snapshot was taken by Charlotte Hoffman (#85). 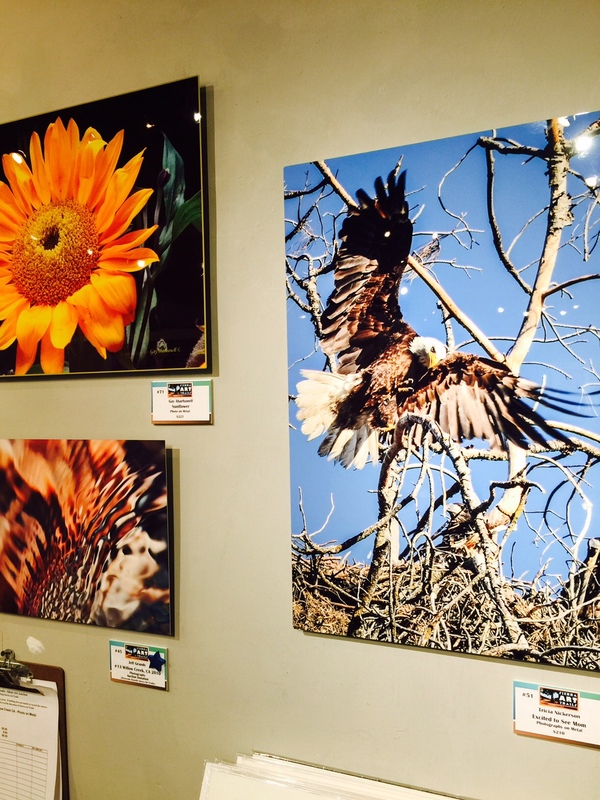 She has so many beautiful images to choose from, it was difficult to decide what to include here. 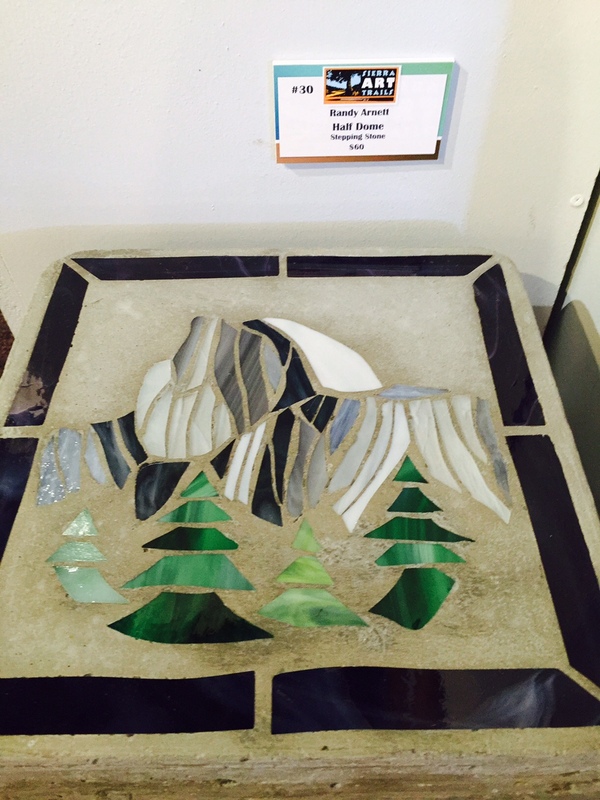 You can visit her in her home studio in Coarsegold, California. 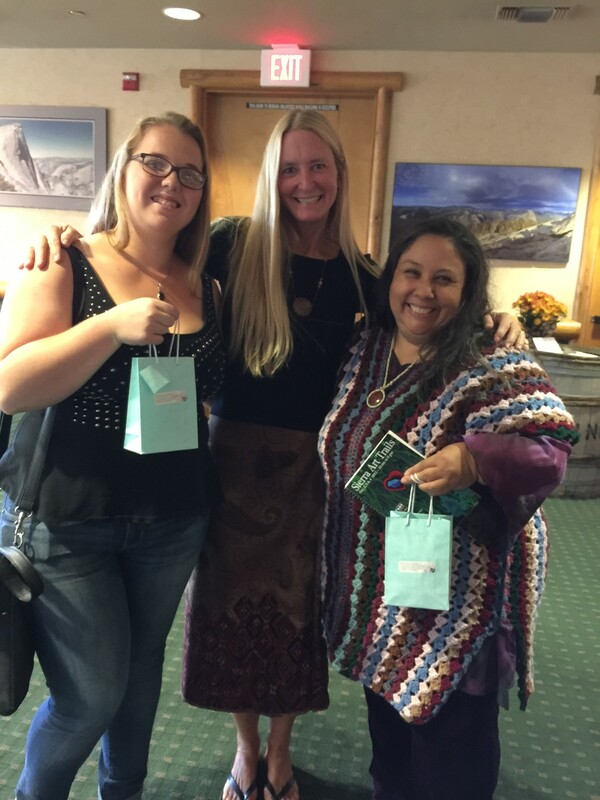 Below – I met a unique and all-around talented person named Faith Rumm (artist #96) who will be showing her work in Mariposa at Rumm Studio. I met Alex Lewis (#52) , a woodworker and sculptor, and an interesting person. His work is amazing and meeting him at Slim’s Koffee Bar in Oakhurst would allow you to talk to him about his methods and inspiration behind each piece. 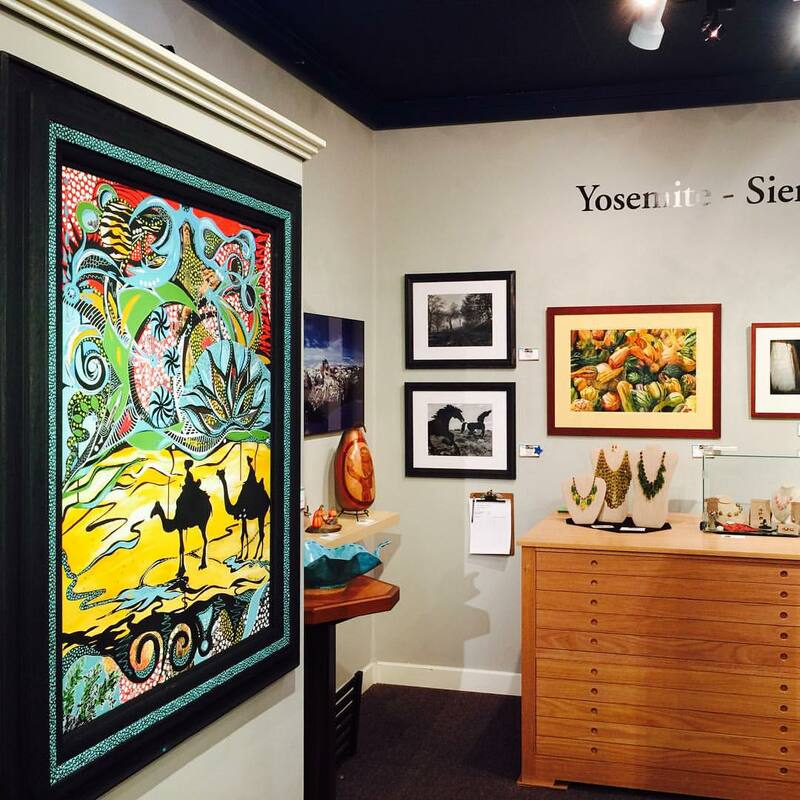 And of course, Jonathan Bock (#54), the owner of two important galleries in Oakhurst, the Stellar Gallery and Williams Gallery West, where I am pleased to announce that I will be exhibiting some of my work soon after the Sierra Art Trails! 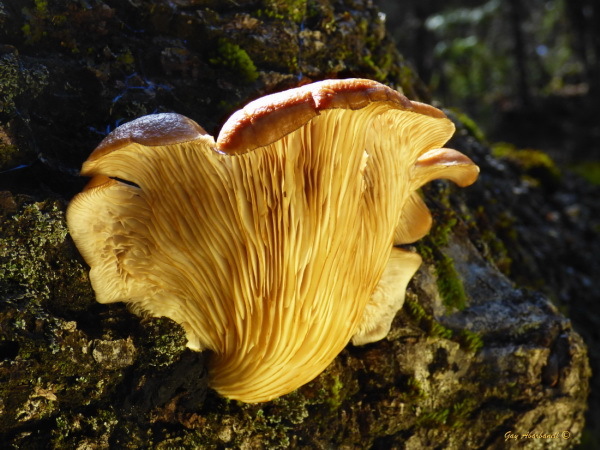 How lucky am I to have met all of these unique artists from the Yosemite Foothills? 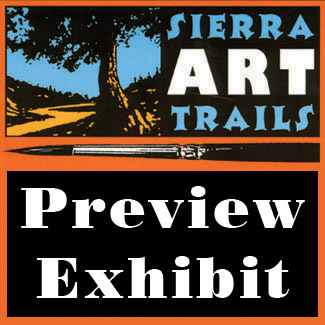 The preview exhibit for Sierra Art Trails 2016 is going on now through October 2nd at Stellar Gallery where you can view works from all of the >100 participating artists. The Gala Reception was September 10th where we were able to enjoy the violin music of Patrick A. Contreras – “Violin on Fire” and fire dancing by the Fantastic Four of Circus Et Cetera with Derrick Vermin and Ziva Lawson. Below – Monique Wales of Red Tail Studio created the print previously blogged about of “Raising Swallows” seen above us in the image below that was taken by Nancy Robbins (#63). 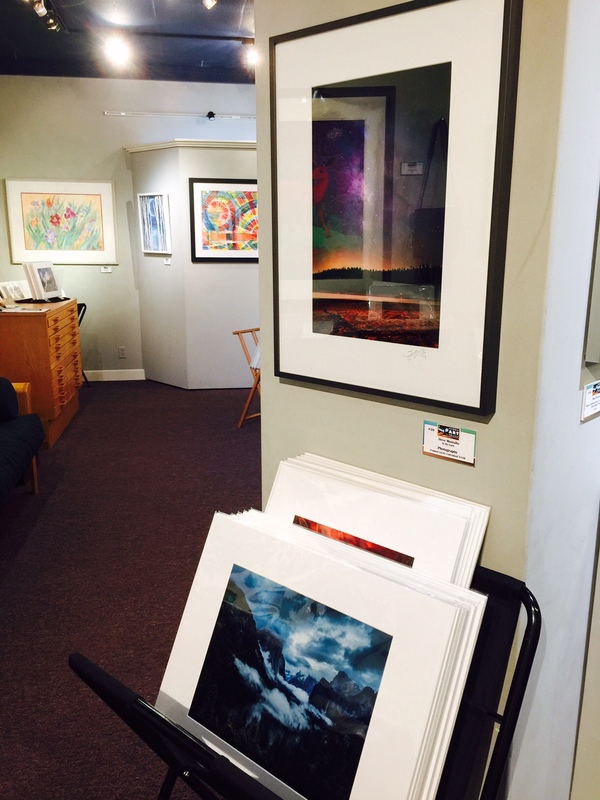 Also in the background to the far left on exhibit is a photograph of Yosemite National Park by Nancy Robbins. Three of my favorite things, aspens, birds, and Yosemite! I met so many wonderful people at the gala and hope to introduce a few more in the coming days. 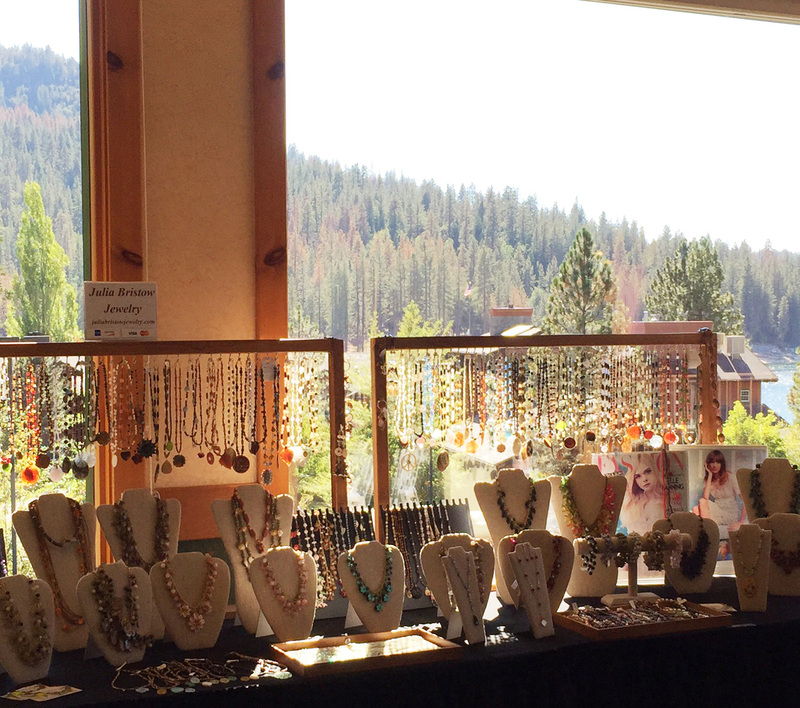 Julia Bristow Jewelry will be participating in this year’s Holiday Boutique in the beautiful Lakeview Conference Room of Bass Lake Pines Resort Thanksgiving weekend for Black Friday holiday shopping. There will be a Christmas tree lighting celebration and pictures with Santa! 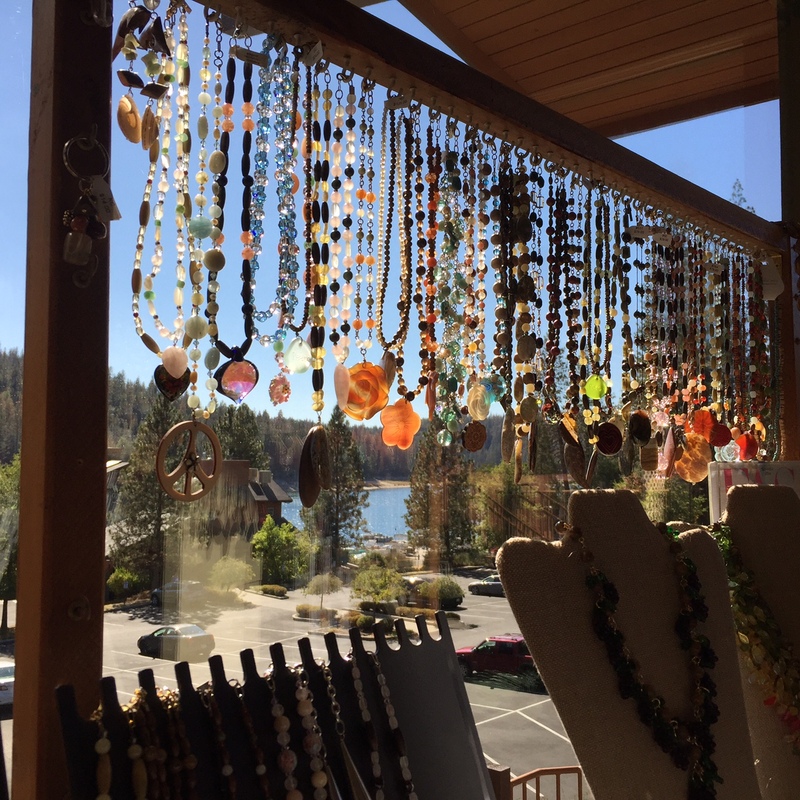 The shopping boutique is full of craft vendors to help you find those unique gifts. 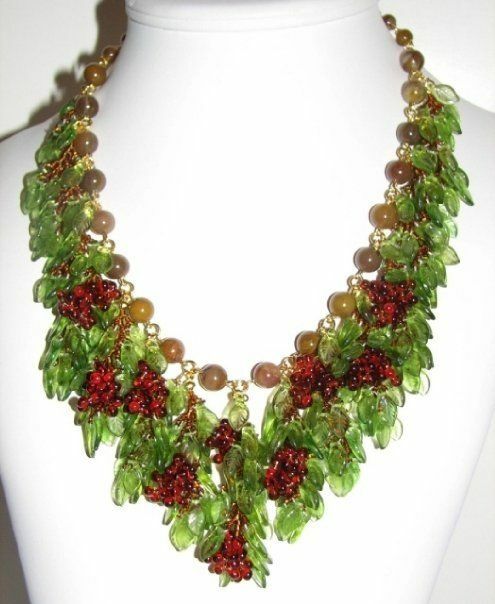 I will be listing special prices on my jewelry for Black Friday sale and have jewelry ranging from stocking stuffers (casual necklaces, earrings, children’s jewelry, gemstone charm keychains, eyeglass holders, golf counters) to extravagant bib necklaces and fruit jewelry wearable art pieces. 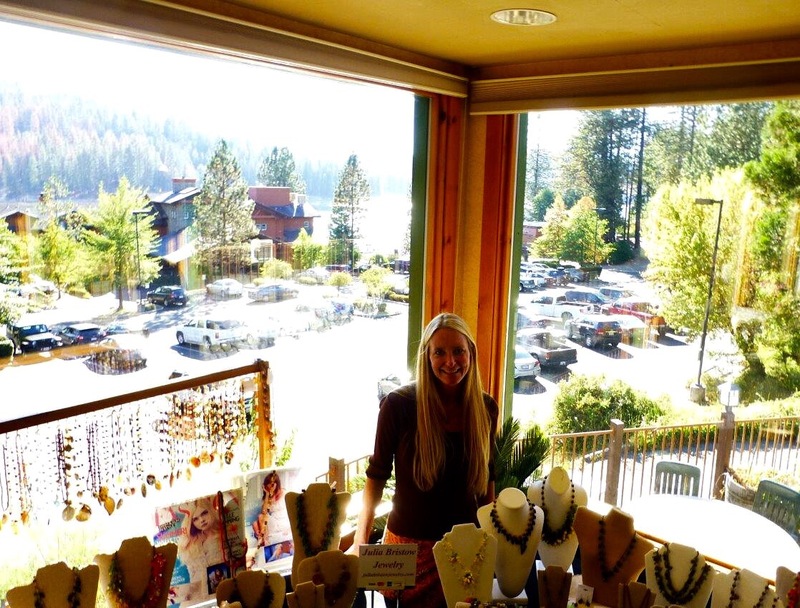 Julia Bristow Jewelry at Bass Lake Pines Resort Holiday Boutique! 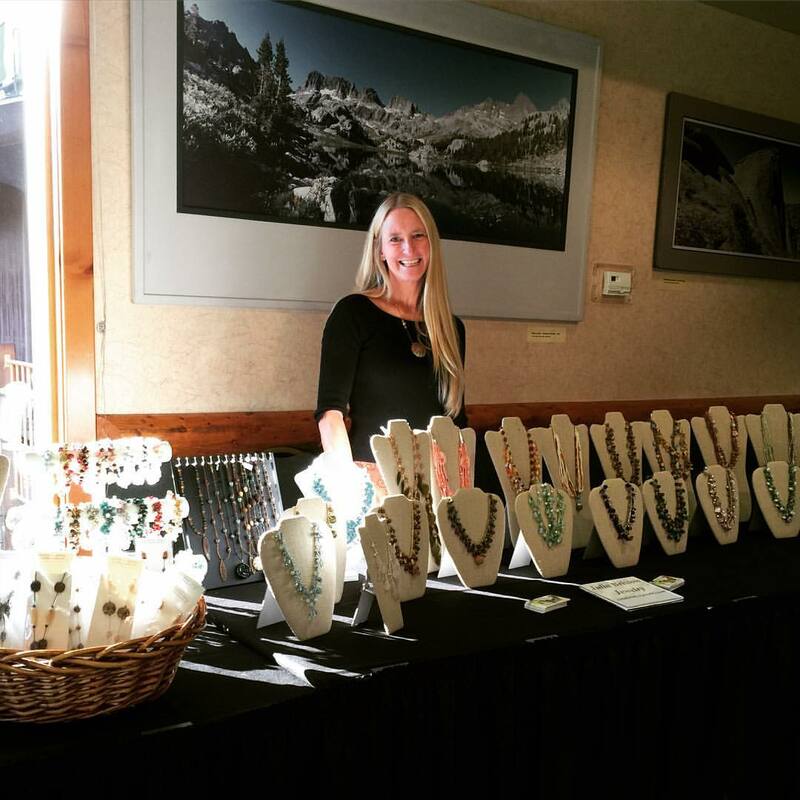 Julia Bristow Jewelry will be holding a Black Friday Thanksgiving sale at Bass Lake Pines Resort special indoor Holiday Boutique! 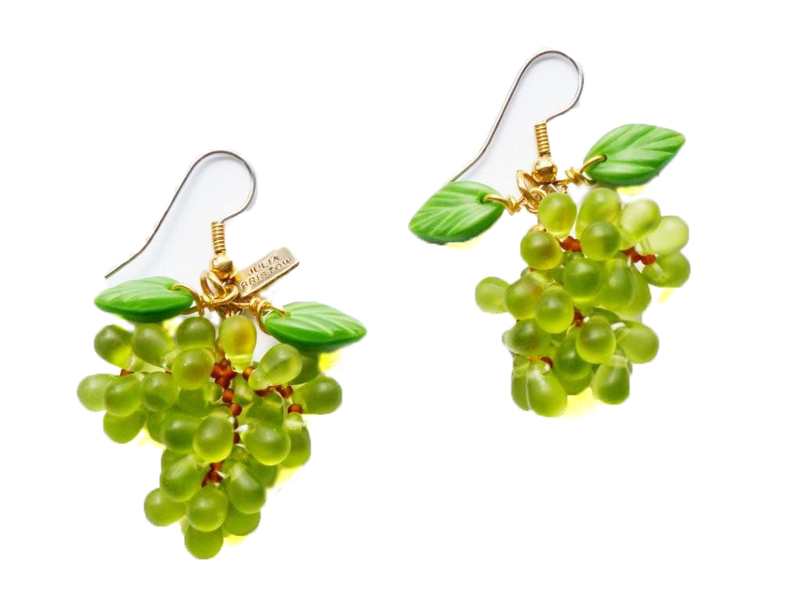 This special shopping event will be open Friday through Monday in the beautiful Lakeview Room. Hope to see you there! 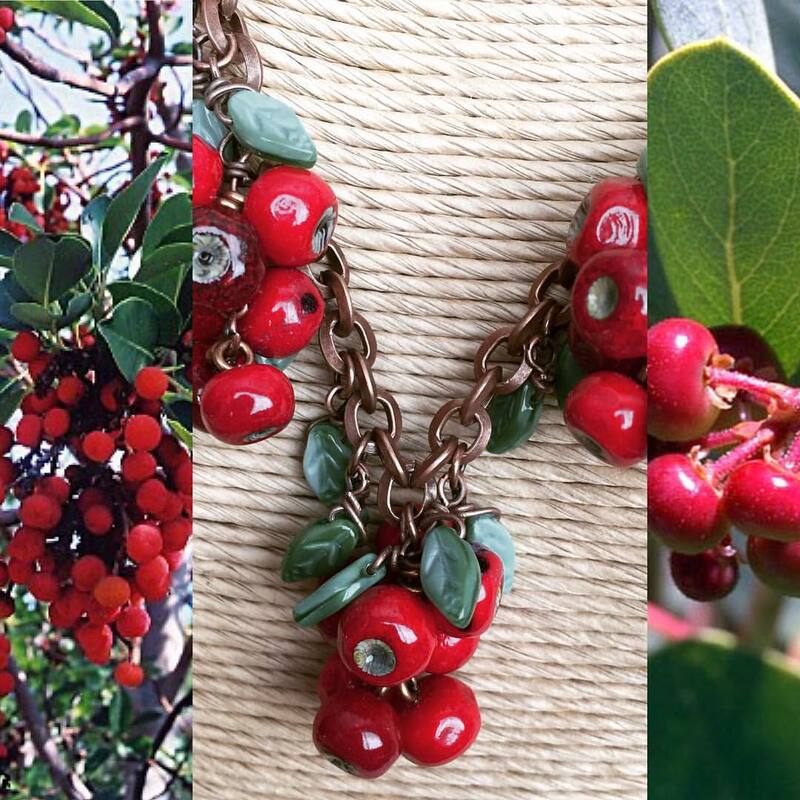 I will be offering specials all weekend for unique holiday shopping gifts! 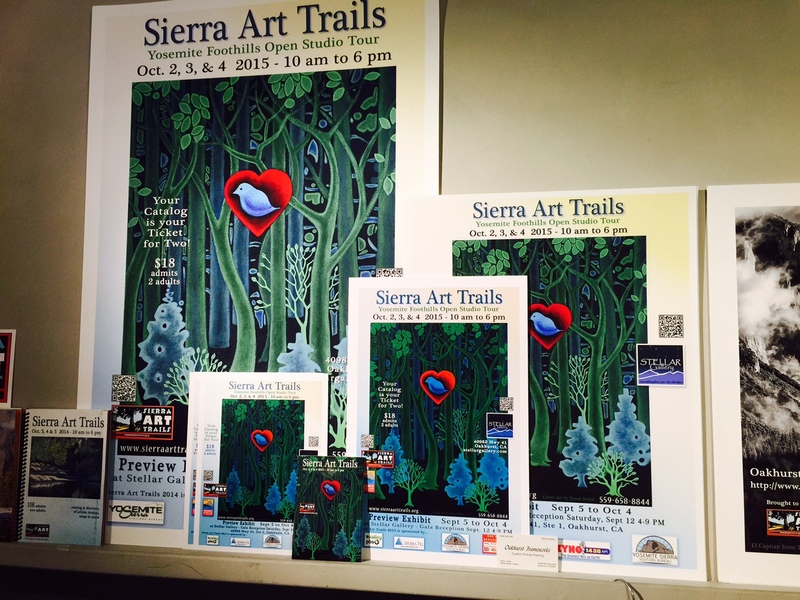 Sierra Art Trails a Success! 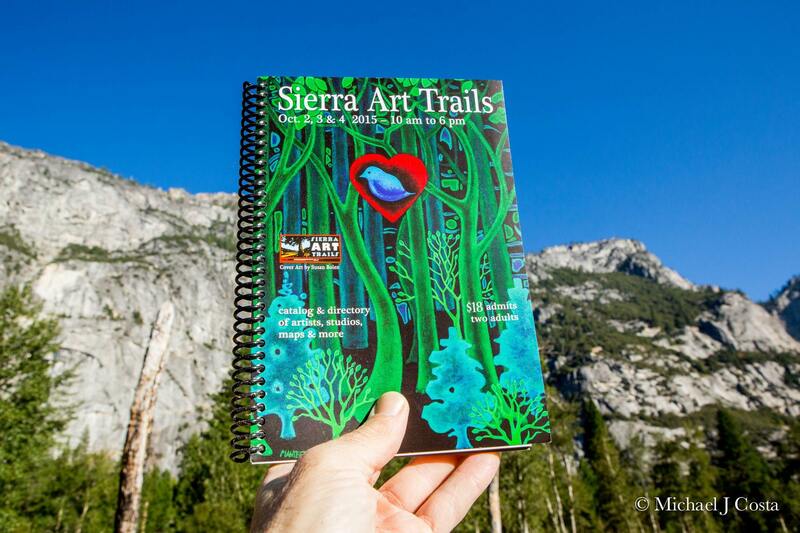 The Sierra Art Trails was a great success! I hope to participate again next year. 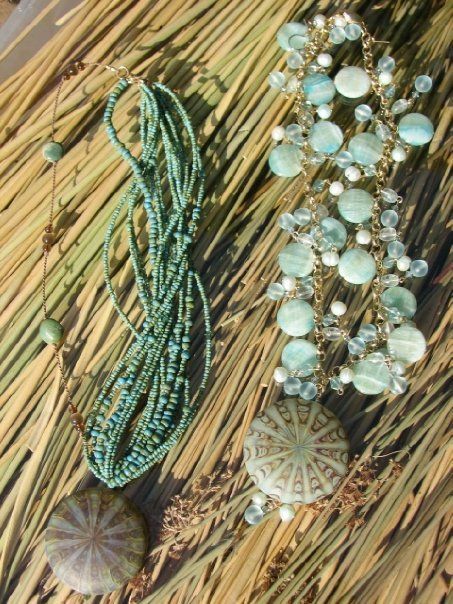 Julia Bristow Jewelry – Artist #70 from Oakhurst, California, is currently being exhibited at Stellar Art Gallery in Oakhurst along with all of the artists participating in the Sierra Art Trails 2015. 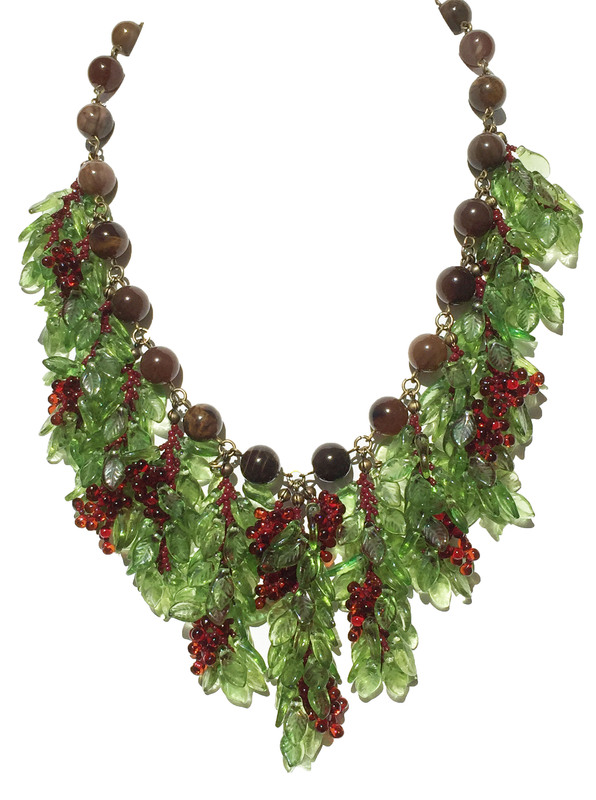 This “wearable art” jewelry has been seen in Elle, Cosmopolitan, and Fashion Magazines. 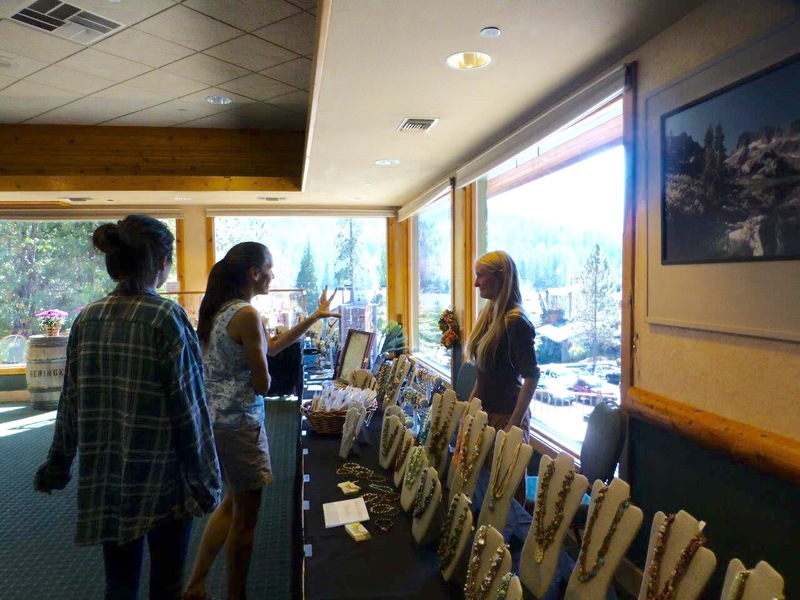 Three of the participating artists, Julia Bristow Jewelry #70, Gay Abarbanell #71, & Ron D. Young #72, will be exhibiting jewelry and photography at the beautiful Pines Resort at Bass Lake Lakeview Conference Room on October 2nd, 3rd, and 4th from 10 a.m. to 6 p.m. for the Sierra Art Trails 2015! 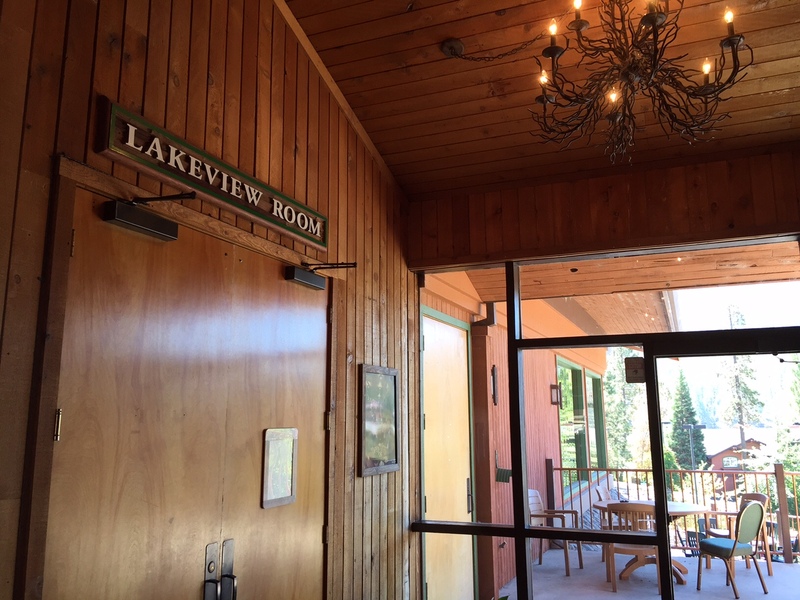 After visiting our site and having some lunch at the Pines Resort Ducey’s on the Lake, you can continue on to see artist Larry Wave woodcarving/boats. 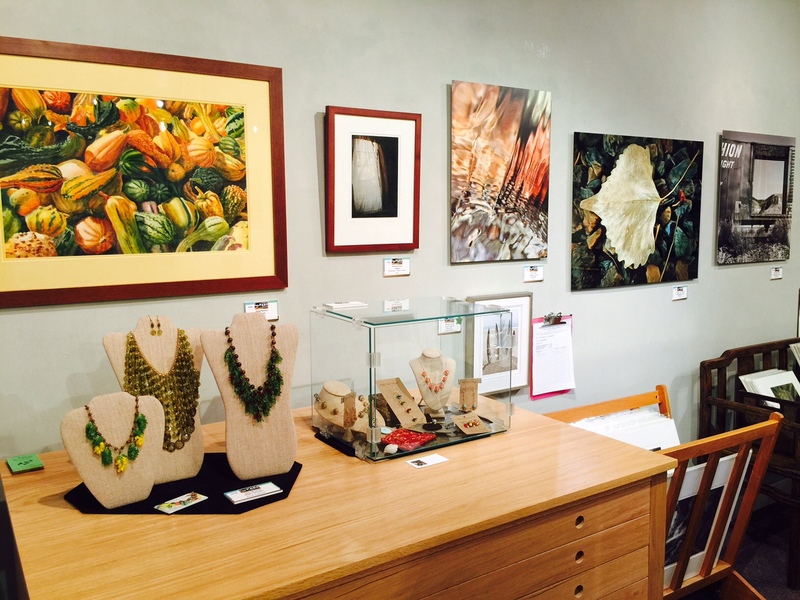 Above Julia Bristow Jewelry on the left with paintings by Doug Boomer, stunning art by Jeff Grandy, and GB Smith the beautiful cottonwood leaf that I love! 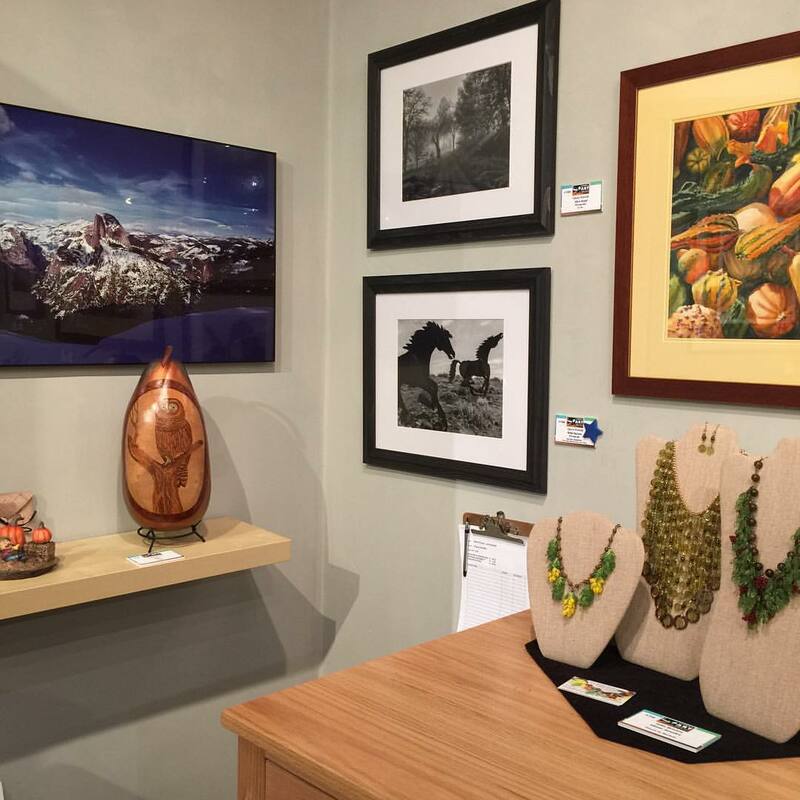 On the left of the above photo, Artist Ron D. Young (#72), photographer, will be exhibiting with Julia Bristow Jewelry (#70). 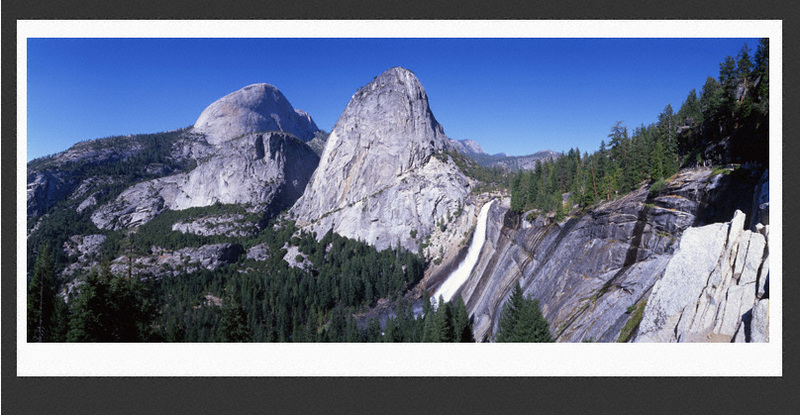 His huge panoramic photos of Yosemite are breathtaking! Above: I met Michelle Marco while there. 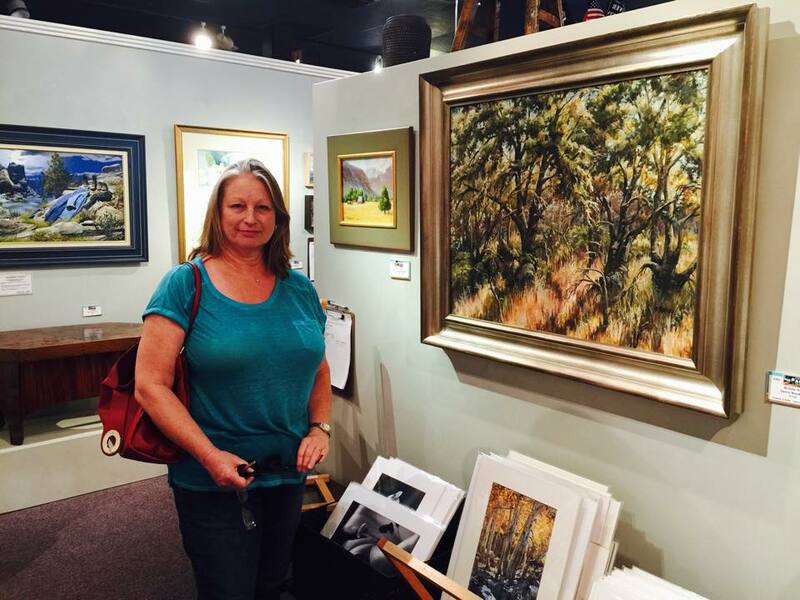 She is standing by her gorgeous painting. 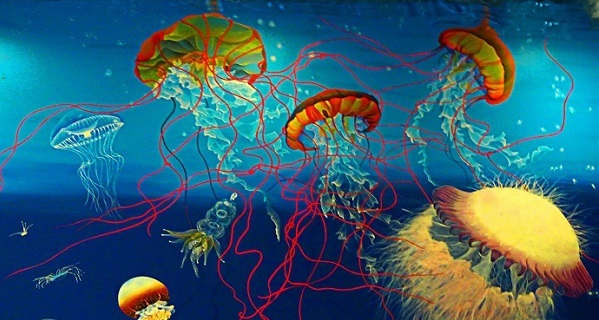 I love it and all of her beautiful nature paintings! GB Smith – I really want this one. So beautiful. 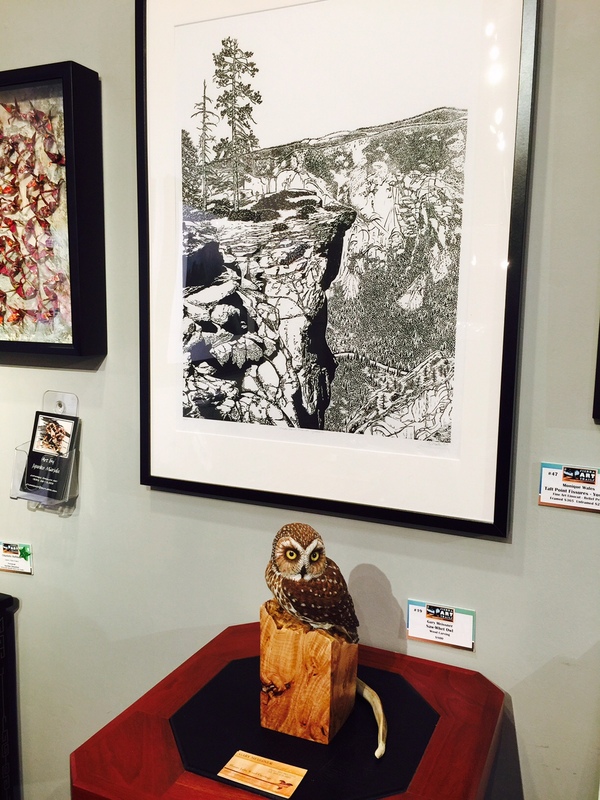 This entire display above was fantastic – sculpture by Kathy Marks, painting by the amazing Penny Otwell, Julie Mitchell, woodworking by both Steve Carney and Craig Pinkerton. Another of my fellow exhibitors above Gay Abarbanell (#71) sunflower, and I adore the bald eagle print on the right as well by Tricia Nickerson. This doesn’t come close to covering the amount of artwork on display, and you have to see it in person because these photos do not do it justice. The entire exhibit is gorgeous and I am slightly disappointed I won’t be able to visit all of the other galleries and studios. 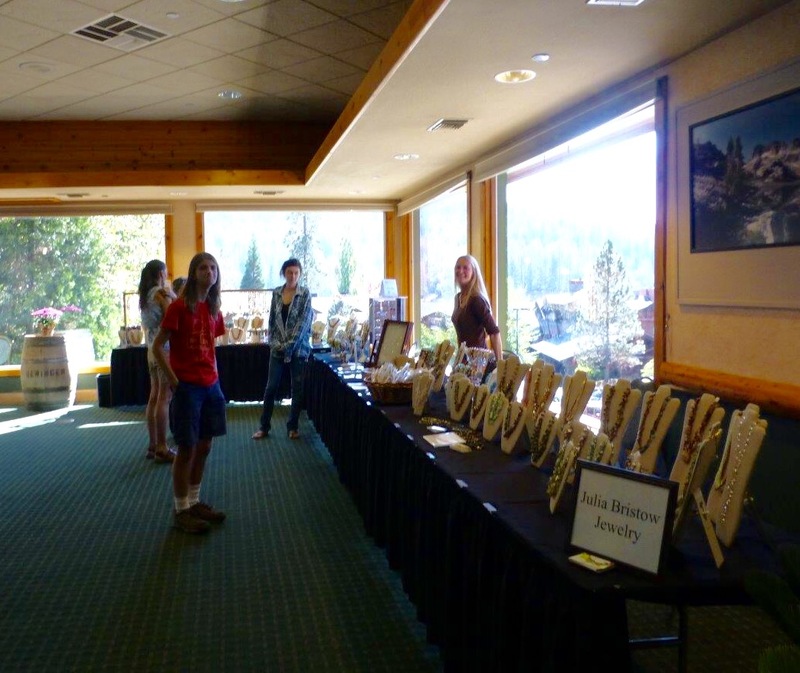 One more important mention: The talented young students who are displaying their artwork! Keely McIntire a student at Yosemite High School and Camille Fisher and Kaitlyn Fisher. 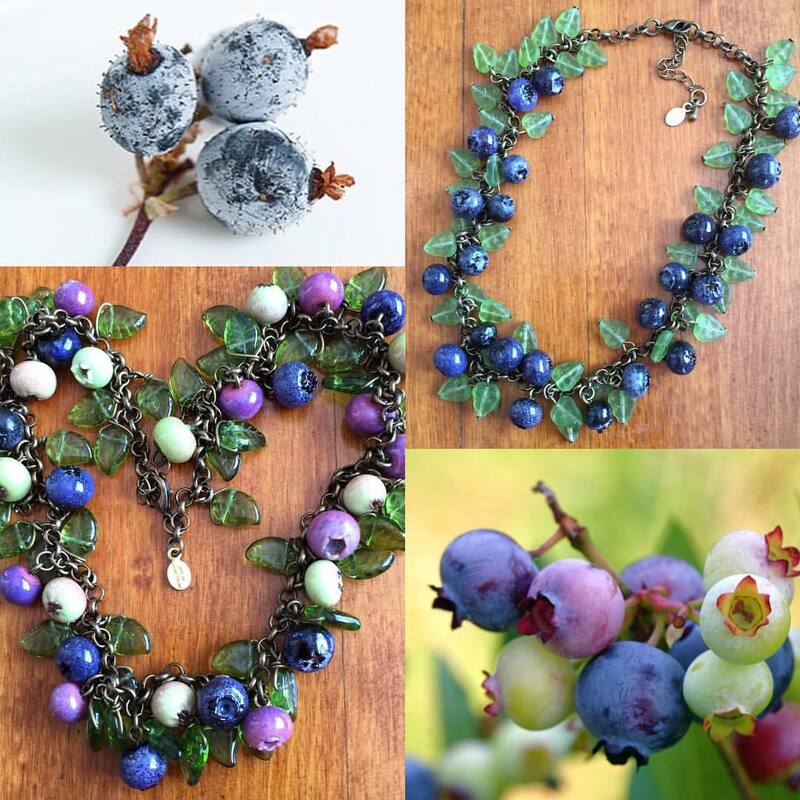 These limited glass fruit jewelry pieces will be available at my exhibit being held at the Bass Lake Pines Resort October 2-4 from 10 a.m. to 6 a.m. in the “Lakeview” Conference Room. 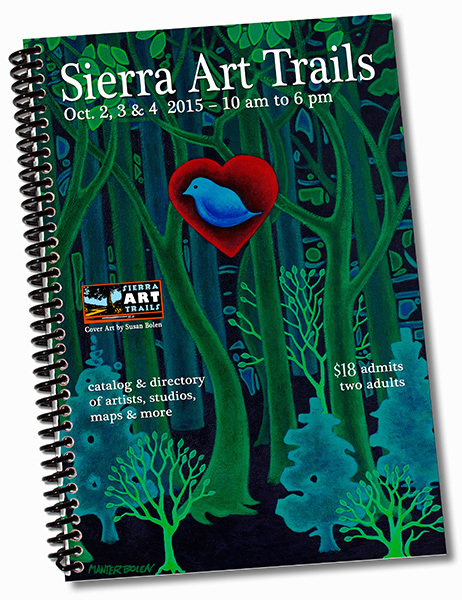 I am Artist #70 of the Sierra Art Trails 2015. 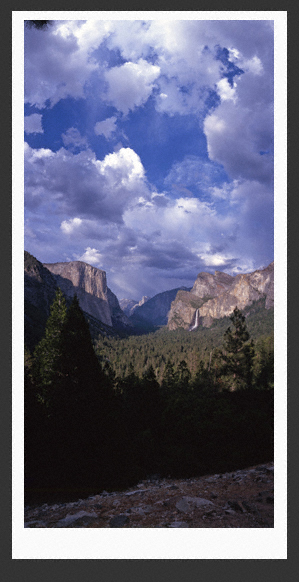 I will be exhibiting here with two other artists #71 and #72, both talented photographers with images of the Yosemite National Park and the Sierra Mountain Area. (See below for attached directions.) Look for the large orange signs! 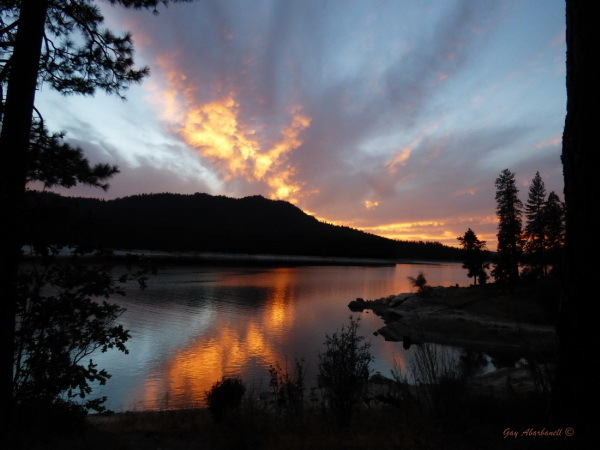 Three participating artists will be exhibiting jewelry and photography at the beautiful Pines Resort at Bass Lake October 2nd, 3rd, and 4th from 10 a.m. to 6 p.m. for the Sierra Art Trails 2015! 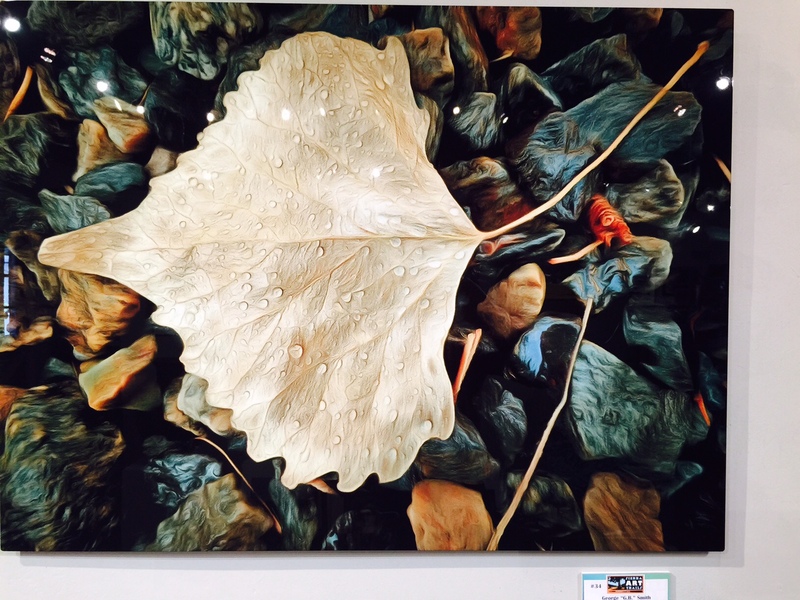 Some of this work can be seen now at a preview exhibit going on at the Stellar Art Gallery. 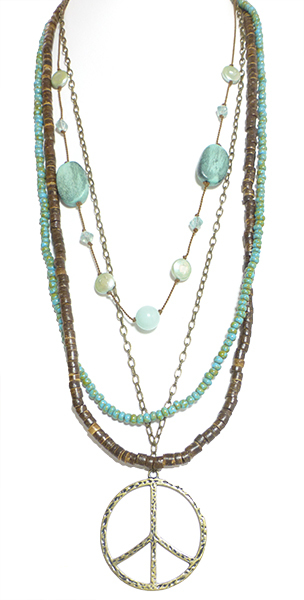 Julia Bristow Jewelry at Sierra Art Trails Preview Exhibit going on now! 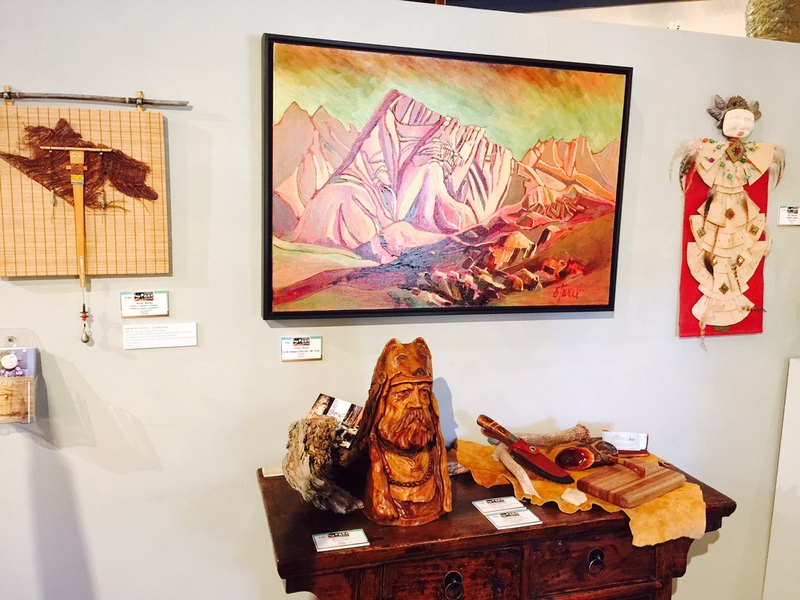 Sierra Art Trails Preview Exhibit going on now from September 5th to October 4th at the Stellar Art Gallery in Oakhurst, California. 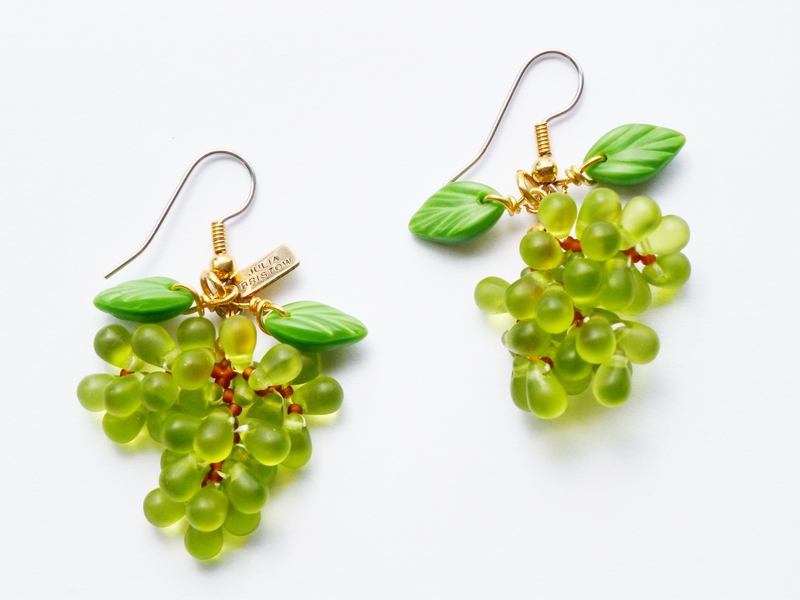 A few pieces of Julia Bristow Jewelry will be on display.